In April we spent a few days in Bangalore. We were there mainly for the Reputation Today Conclave that was scheduled on the 20th of April. While there, we had an opportunity to visit and interact with senior professionals from various public relations firms like Adfactors PR, Media Movements, MSLGROUP and such. 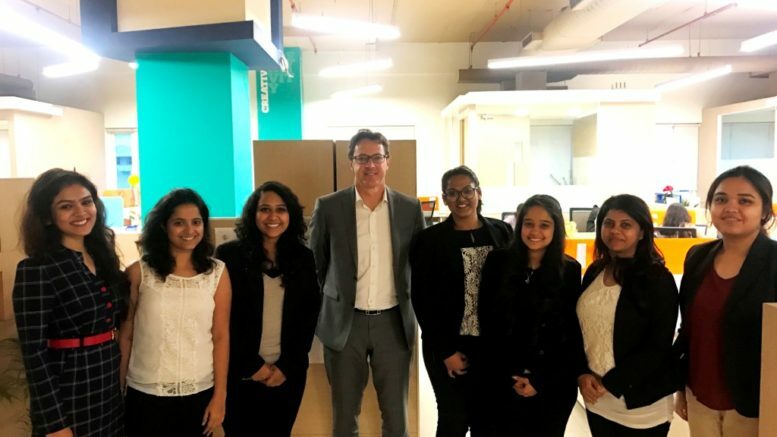 Our experience at the MSLGROUP office was particularly fantastic, as we got a ‘once in a blue moon’ chance to meet the Global CEO of MSLGROUP, Mr. Guillaume Herbette! As students, this was a very big deal for us! Here is a snapshot of our rendezvous with him. We reached the MSLGROUP office in Bangalore a little earlier than scheduled and were asked to wait for Mr Herbette in a meeting room as he was busy with another commitment. While we were waiting we decided to look around the office. Soon Mr. Herbette, came to meet us on, right at the stipulated time. He is a gem of a person, soft spoken and very articulate about his thoughts. He was as enthusiastic as we were, as this was the first time he was in a meeting with a room full of freshers! First, he told us a little about himself and then he gave us an insight of his life as a global CEO of a company. He also answered the various questions we had in detail, thus clearing out our queries. All of us asked him different questions, and one of the questions was; What differences did he come across in the work culture between MSLGROUP and Fleishman-Hillard to which explained how the geography of a company plays a major role in the work culture. While talking about Public Relations he said, “Today Public Relations is not just traditional Public Relations. It is about coming up with campaigns which are precise, influence the target audience effectively, can be marketed easily and result in scaling up the impact”. However, there are certain limitations here. With the dynamic shift happening around us, it is difficult to understand the target audience and create a story around them. Also, ‘measurement of PR’ which is the most debatable topic of discussion is another limitation. Being the Global CEO of MSLGROUP, he shared how MSLGROUP sees a huge opportunity for their operations in India. This article is jointly written by Amy Crasto and Prerna Porwal, students of the first batch at School of Communications and Reputation. Be the first to comment on "A rendezvous with Guillaume Herbette"